Here we go. 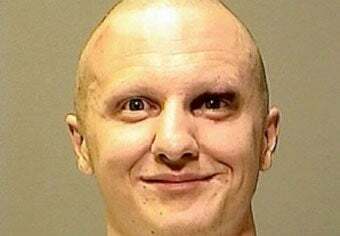 Jared Lee Loughner, the Tucson man accused of attempting to kill Arizona congresswoman Gabrielle Giffords, has been identified as a "big video gamer" by former classmates. Oh, and he really enjoyed reading Mein Kampf. While a YouTube account linked to Loughner doesn't actually list video games as one of his interests—allegedly, he enjoys reading, grammar, "conscience dreams" and... mind control as currency?—two reports from former classmates have identified the suspect as an avid video game player. So don't be surprised when you see the following recollections dredged up by video game fear-mongering types. According to a Wall Street Journal report, "All [Loughner] did was play video games and play music," according to high school friend Tommy Marriotti. And by way of The Arizona Republic, the suspected murderer was a "big video gamer," or so says Pima Community College student Chris Walker. Other rumored and reported interests of Loughner's include heavy metal and classic rock music, playing the saxophone, graffiti, drugs, sitting in unlocked cars, blurting out apocalyptic non sequitur during algebra classes and reading books like Animal Farm, Brave New World, Peter Pan, Mein Kampf and Siddhartha. Loughner also stands accused of maybe liking Drowning Pool. But, yeah, video games. Crazy people like them too.